All three go on sale on Tuesday, January 14, 2014 beginning at Noon (Eastern). 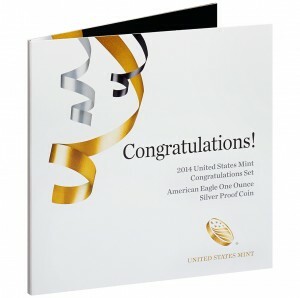 Orders for any of the three options may be placed directly with the US Mint (once available) by visiting the website of www.usmint.gov or by calling 1-800-USA-MINT (872-6468). 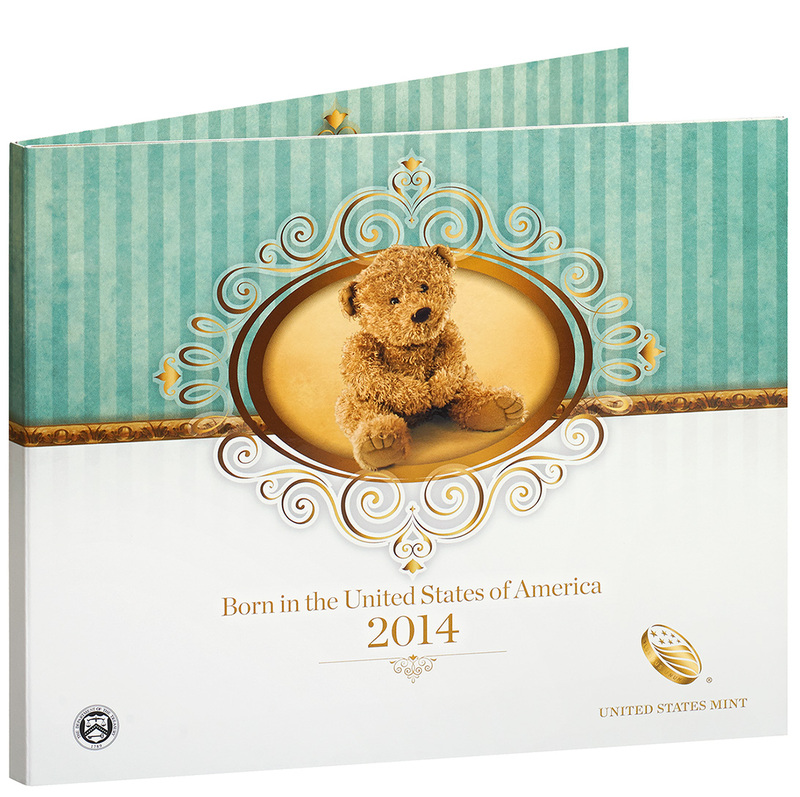 The coins are attached to a printed folder which includes space for a welcome message, the day/time of the birth, the length/weight of the baby, a baby photograph, and a lock of the baby's hair. 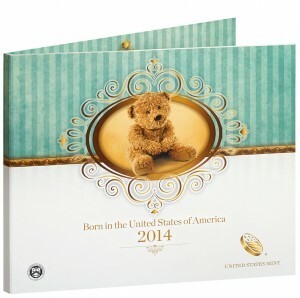 Pricing is $19.95 with no mintage limit in place. 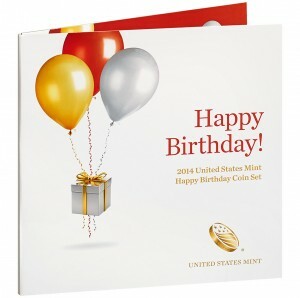 The coins are encapsulated and attached to a printed folder which includes the words of "Happy Birthday!" 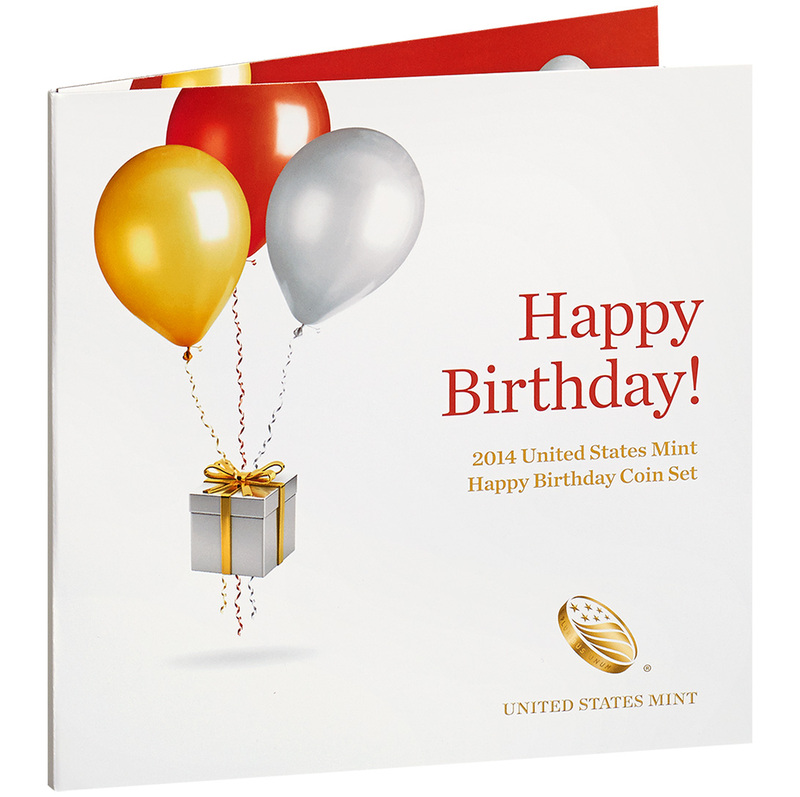 and "2014 United States Mint Happy Birthday Coin Set." Pricing is $19.95 with an unlimited mintage. Usable for several special events such as graduations, weddings, etc., the 2014 United States Mint Congratulations Set marks the last of the three new gift options to be issued by the US Mint next week. Found in the set is one 2014 American Eagle One Ounce Silver Proof Coin. The coin is encapsulated and mounted in a printed folder which contains the words of "Congratulations!," "2014 United States Mint Congratulations Set," and "American Eagle One Ounce Silver Proof Coin. " Pricing is higher for this release since it contains the proof quality version of the bullion American Silver Eagle which is composed of one ounce of silver. 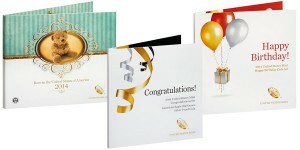 Each set is scheduled to sell for $54.95. No pre-published mintage applies.